It’s been almost 4 years since we last looked at the Polish diver, the GARFISH, a project by Xicorr. The Garfish dive watch project has finally reached completion and is available, now for PRE-ORDER. 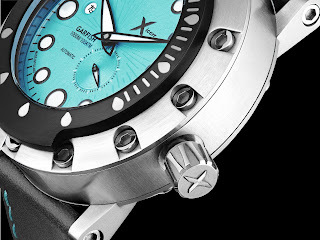 If you haven’t heard of Xicorr or the Garfish before, Xicorr are watch brand from Poland who work in close collaboration with Polish technical diver, Darek Wilamowski. Darek not only co-develops for Xicorr but also field tests all of Xicorr’s diver’s models which include the latest Garfish model. Darek has even taken a Xicorr diver on an epic 243m deep scuba dive into the depths of Italy’s lake Garda. 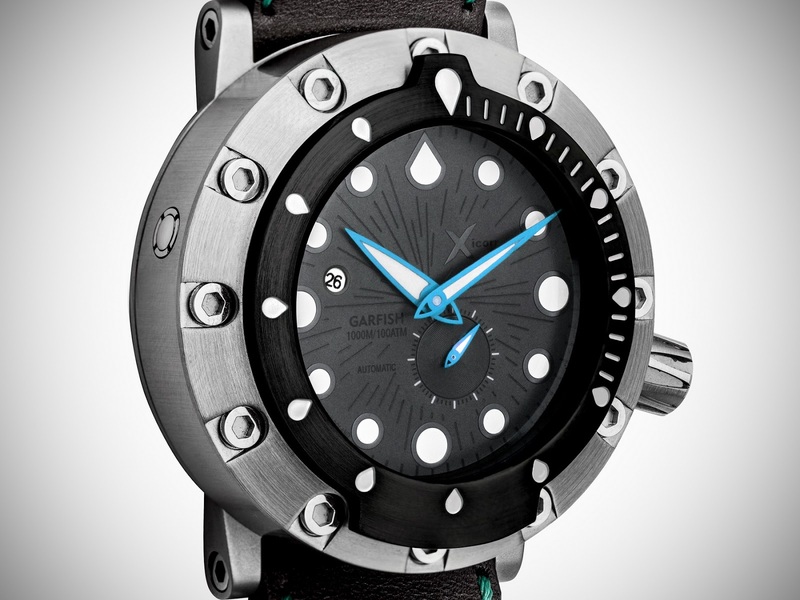 Named after the North Atlantic fish of the same name, the Garfish was designed to be a diver first and foremost. 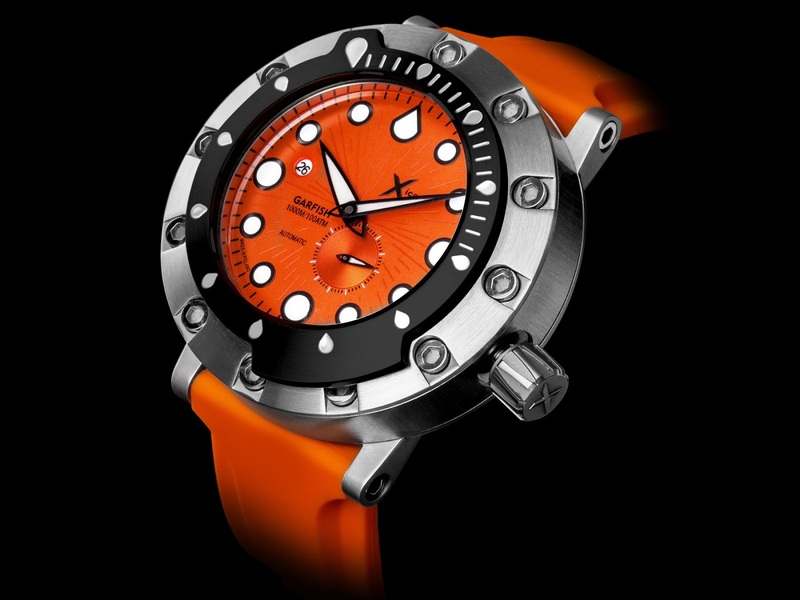 Yes, it’s a pretty cool looking watch but, Xicorr and Darek Wilamowski have the belief that a dive watch should do exactly what it says on the tin (so to speak). Technical specification of the Garfish includes: a generous 52mm Stainless case with a lug-to-lug measurement 54mm and a thickness of 17mm. 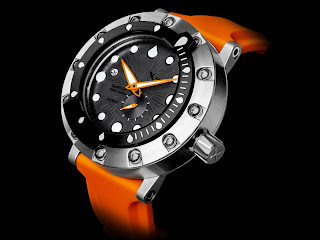 The large case diameter should be evocative of a diving instrument. 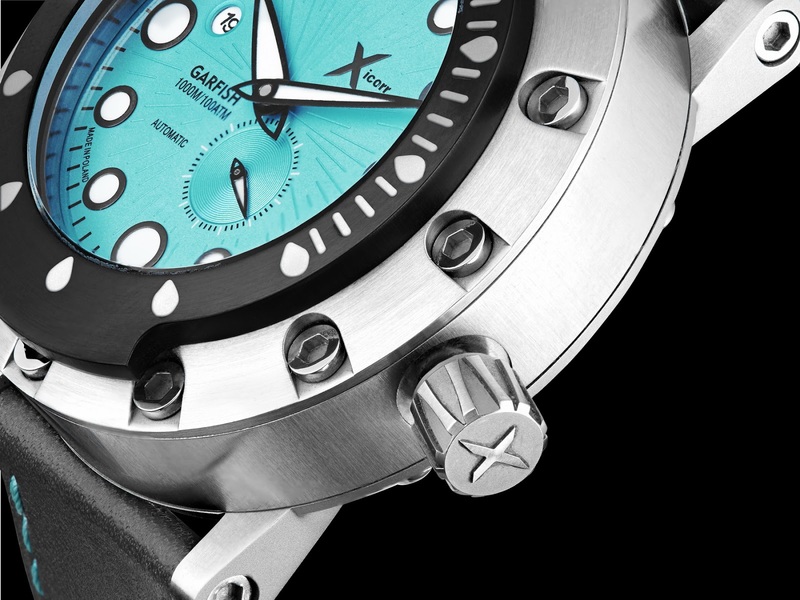 Divers features of the Garfish include: a combination brushed and sand-blasted, Stainless steel rotational diver bezel with black DLC coating and engraved and painted white dive-time scale. Its water-resistance is 1000 meters/ 100atm. 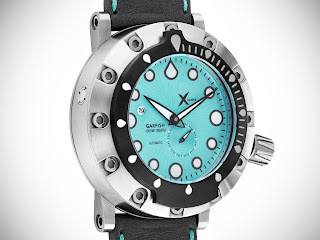 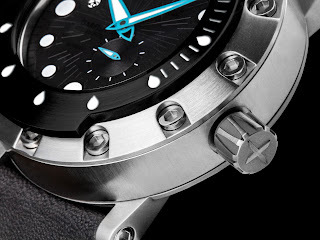 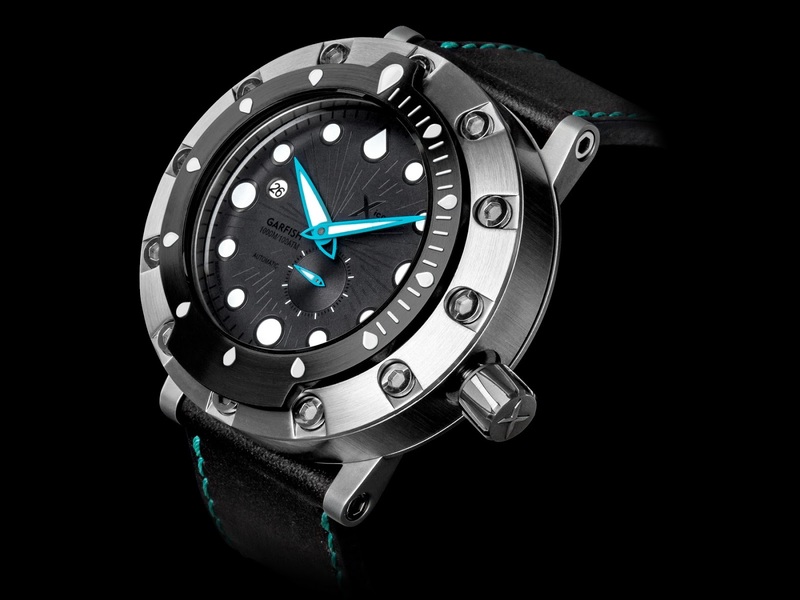 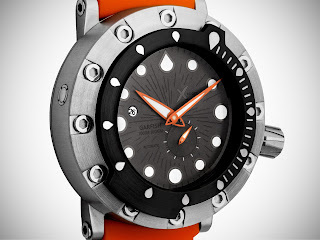 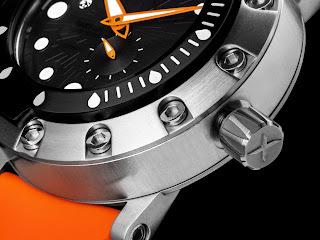 Further divers features include: S Sapphire crystal, an automatic Helium Valve, and screw-down crown. 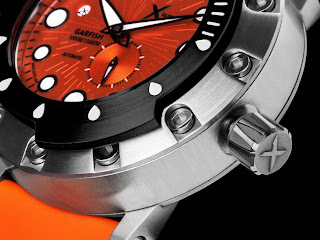 Special features of the Grafish include: engraved dials, sub-dials with snailing, bezel, lugs and case-back all secured with hex-bolts and a Garfish depicted on the watch’s case-back. 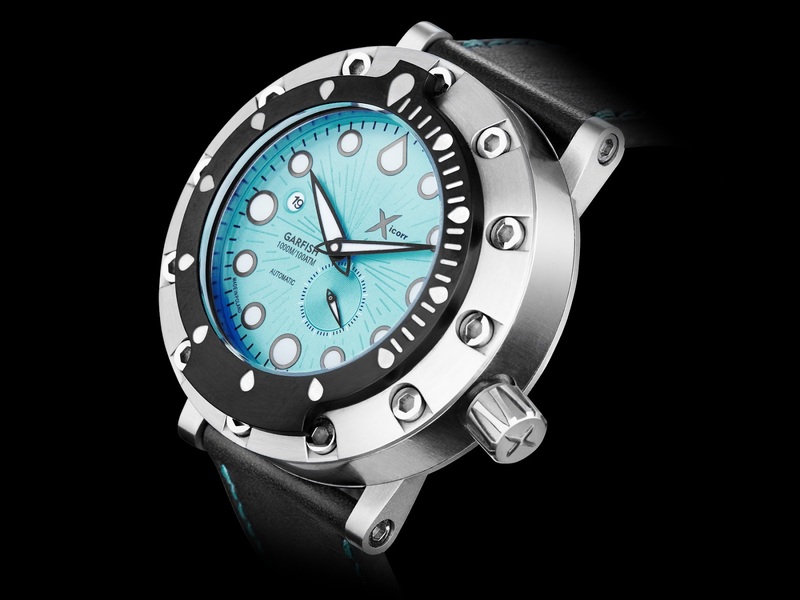 Powering the Garfish is a reliable, Japanese made Miyota 8218 automatic mechanical movement with a beat-rate of 21600 vph, a power reserve and a power-reserve of 40 hours. The Xicorr Garfish comes in four variations that include: a turquoise green, an orange and two dark grey dial variants. The turquoise and orange dials come with black handsets while the grey dials can be chosen with either a blue or orange handset. 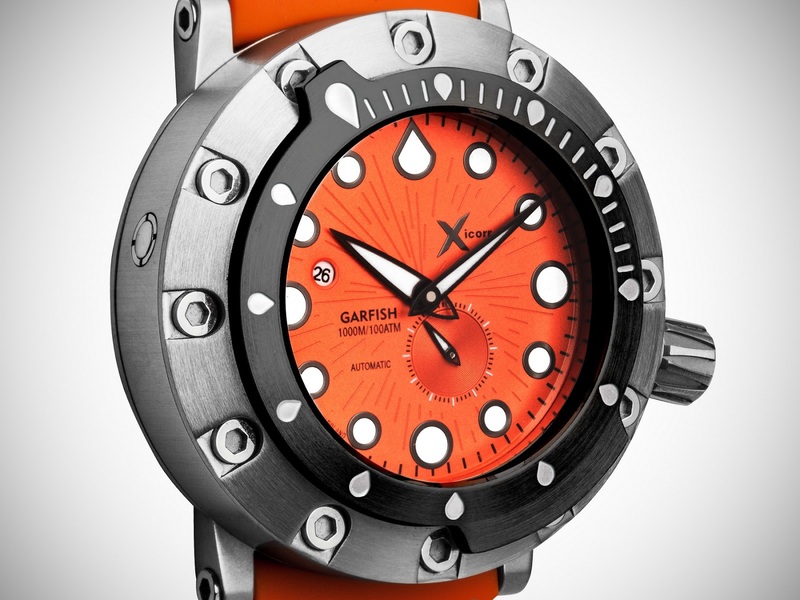 Please follow the link HERE or the one embedded below for details on the Garfish including all PRE-ORDER information.